Since 1958, Iron Horse Financial has provided financial services through insurance, investments, and estate planning strategies. With 7 locations throughout the south, we are committed to doing the right things for our clients, knowing that people matter while holding ourselves to the highest of standards. 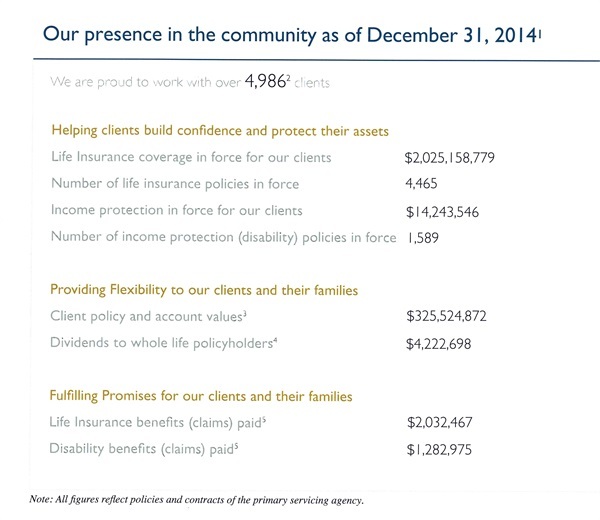 Our firm has over two billion of life insurance in-force and 280 million of assets under management as of December 2014. We encourage individuals to reach their full potential though utilizing Guardian and Iron Horse resources and an expectation of personal and professional growth and development. In the early Victorian culture, Iron Horse was the iconic term given to the steam locomotive, which began replacing the slower, less efficient horse-powered railways. Creative innovation birthed new machinery which led to stronger and more reliable performance and development. At Iron Horse Financial, innovation, strength, and reliability are the characteristics that drive our firm forward. With the latest innovation and resources, our staff of advisors are highly respected for their ability to bring financial organization and security to their clients. Our strong partnership with The Guardian Life Insurance Company of America and Park Avenue Securities enables Iron Horse Financial to be part of a national network of firms helping individuals and business owners reach their full potential. We offer an array of specialized strategies that will address virtually all you financial needs. We utilize a macroeconomic approach through the use of one state-of-the-art planning tool called The Living Balance Sheet®. It provides you with a detailed, holistic view of your financial world at any given time and helps us work with you to model and address a variety of financial scenarios and outcomes. Knowing how quickly events can change, we stay abreast of current legislation and trends, and how they might impact your financial future. Our vision at Iron Horse Financial is to develop a foremost financial team in the South that effectively impacts the community on multiple levels. We are creating an agency atmosphere that encourages professional and personal growth for Financial Representatives, Managing Directors, and staff resulting in continued forward momentum.